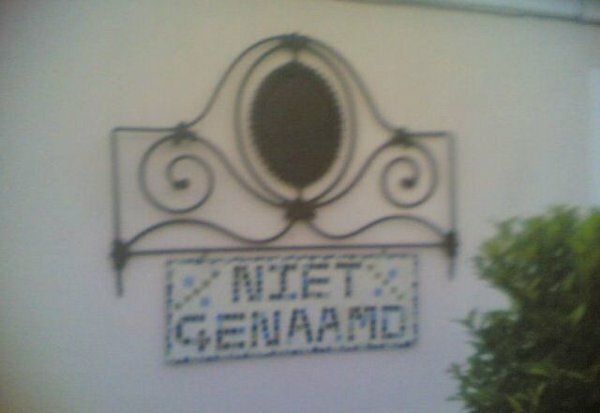 The quaint historical cottage of Nietgenaamd is situated in the oldest street of Cradock. It offers cosy, private, comfortable accommodation in an old world atmosphere. Nietgenaamd is easy to find and close to shops and restaurants. Each spacious room has TV and coffee tray facilities. Fans or heaters, depending on the season, are supplied. A full English breakfast is served and dinners are available on request. Guests are welcome to relax in the typical country cottage garden. Nietgenaamd is a pet-friendly establishment with secure parking. Click here to enquire at Nietgenaamd.